Value-Accessories - Chatterbox & SENA Comm. Kits, Intercom & Acc. Home > Chatterbox & SENA Comm. Kits, Intercom & Acc. 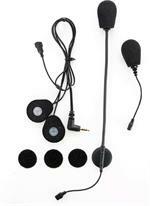 Click here to View or Purchase Chatterbox GMRS X1 and FRS X2 Accessories.